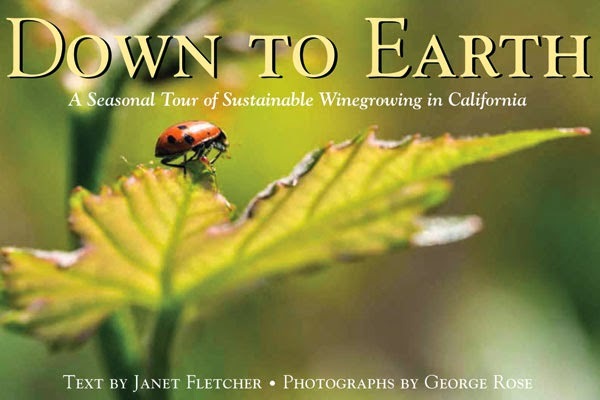 Down to Earth: A Seasonal Tour of Sustainable Winegrowing in California pulls off quite a feat, managing to be part coffee table book full of gorgeous photography, part guide to the ever-growing world of environmentally-aware grape growing and winemaking, part cookbook with seasonal recipes. 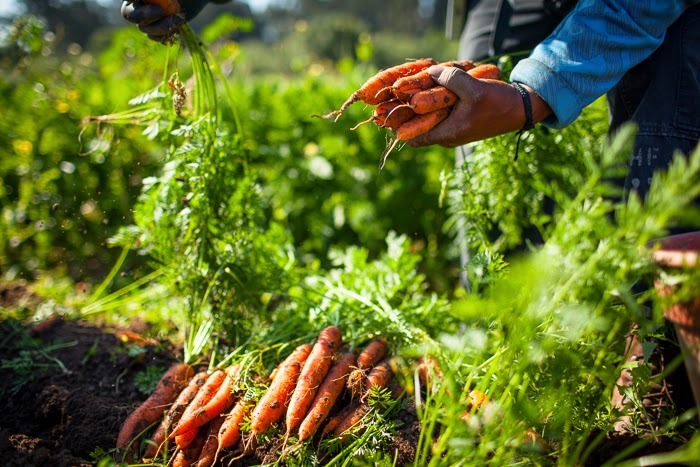 Just released by the Wine Institute (so, yes, it's truly a trade book in that sense), it still makes the case that California, as it so often does in so many fields, is leading the way in wine sustainability. 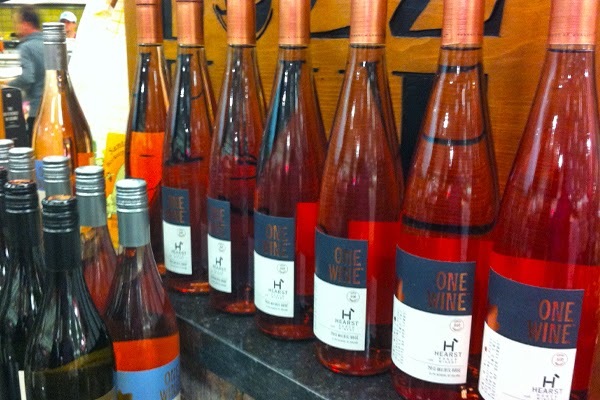 Wine events don't often come with 57-page spiral bound programs, but perhaps more should. Or that would be the easy assumption after sampling at the 2014 Santa Barbara County Wine Futures Tasting this past weekend at Les Marchands Wine Bar & Merchant. 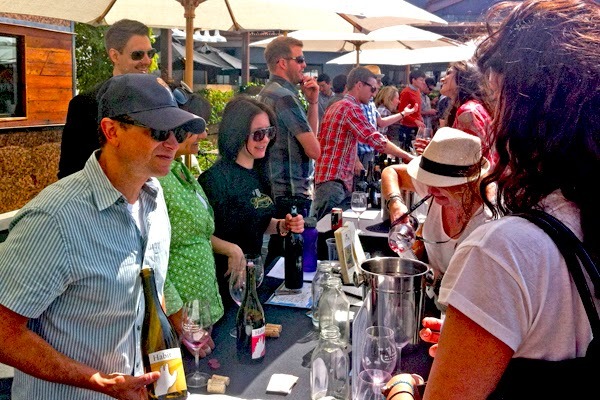 This was the second year the instant hot spot in Santa Barbara's Funk Zone has hosted futures and they've quickly made it their own, especially when one of the stars of the tasting is a wine they helped create with Justin Willet: the Vallin 2013 Rosé (a 100% Syrah grape expression, beautiful pink going to gold with a lilting flavor to match). Not just flowers but festivals bloom in spring -- it's a prime time for wine regions to pull out all the corks, as it were. In just the next three weeks one doesn't have to wonder too far to attend the Santa Barbara Vintners Spring Weekend (it used to be just a one day fest, but now it's days of delight) April 10 - 13 mostly in the Santa Ynez Valley; the Santa Barbara County Wine Futures Tasting at Les Marchands in Santa Barbara on April 19; and then the Paso Robles Cabs of Distinction Gala on April 26. 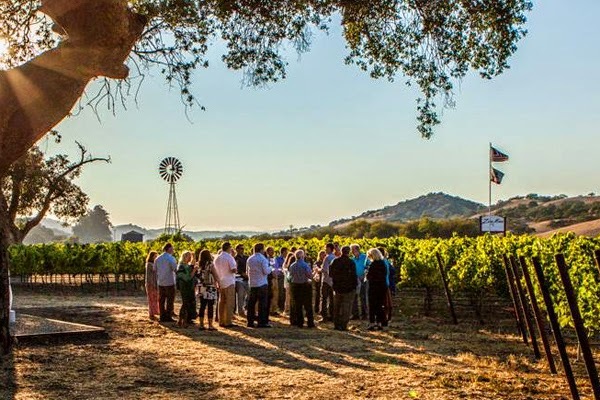 There are hundreds of reasons to go to wine festivals - often that's the number of wines you can have poured into your tasting glass - but one of the best is to get to meet and hear the winemakers talk their craft. We don't get to do this enough in the world, to hear artisans talk their way through what they do. 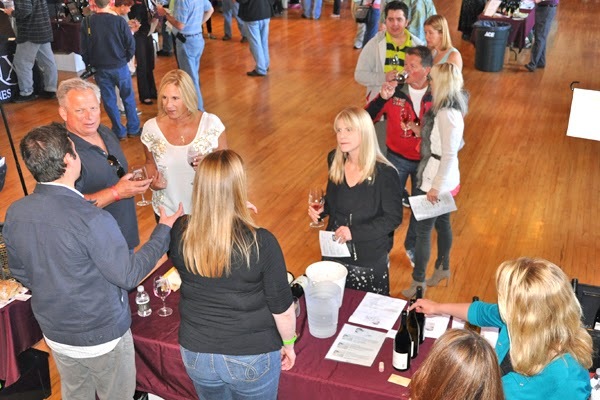 Luckily, many winemakers are loquacious, like Larry Schaffer of Tercero Wines, who at the recent Garagiste Festival held in Solvang March 28-30, let loose lines like, "The wonderful thing about wine is the answer is always, 'It depends,'" and, "With grapes as good as the ones from Larner Vineyard, I don't call myself a winemaker, I call myself a grape-herder." Want to read then rest then do so at the KCET Food Blog.